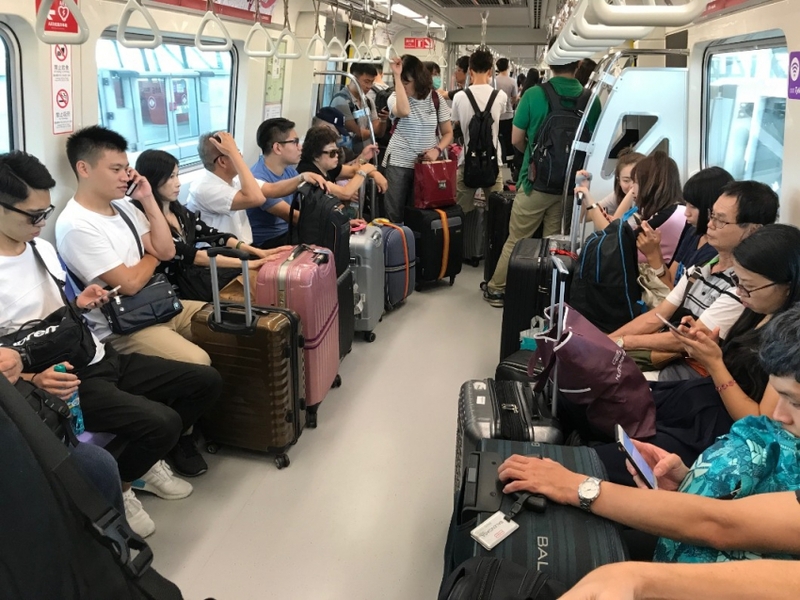 Taoyuan Mayor Cheng Wen-tsan (鄭文燦) said on Monday that the Taoyuan Airport MRT that opened in March 2017 will reduce fares by NT$10 starting January 1, 2019, UDN reported. Other media outlets, such as The News Lens, have reported the fare reduction will begin October 1, 2018. Mayor Cheng noted that average daily ridership is 57,000 and the company has made a net profit of NT$200 million (US$6.55 million) in the first half of 2018. The goal is to increase daily ridership to 64,000. With the discounts, annual net profit is expected to fall to NT$100 million. The fare reduction is not only intended for inbound and outbound travelers, but also for residents who travel between stations on the Airport MRT line. Taoyuan Metro Corporation (桃園大眾捷運公司) has said that it has proposed various discount plans to increase ridership. One such plan would offer Taoyuan residents a 20% discount on tickets. The company has also proposed a 120-day ticket that would offer ticketholders a 50% discount.